Paris, France - September 1, 2010 - Alcatel-Lucent (Euronext Paris and NYSE: ALU) today announced that it has acquired OpenPlug, a mobile software and applications development tools vendor. OpenPlug's mobile software turns every device into a smart device. It allows developers to write applications once and convert application code into native software that runs on any leading mobile device operating system, including iPhone, Android, Symbian, Windows Mobile, and Linux. Thanks to OpenPlug, service providers, enterprises and developers do not have to be selective about which of the many mobile platforms they will write applications for, thus limiting their potential for service adoption and revenue potential. OpenPlug’s mobile software turns every device into a smart device. Alcatel-Lucent (Euronext Paris and NYSE: ALU) today announced that it has acquired OpenPlug, a mobile software and applications development tools vendor. Through this acquisition, Alcatel-Lucent deepens its role in the applications space by delivering, as part of its integrated suite of developer tools, a platform where application developers can write an application once, which will then be translated to run on any of the five major mobile operating systems. Alcatel-Lucent can now extend OpenPlug’s functionality to service providers, enterprises and developers so they can create and deploy applications -- in virtually record time and without sacrificing the unique customer experience -- across multiple mobile devices and within service provider app stores. As a result, applications that had previously only been available on more sophisticated devices such as smartphones, can now be enjoyed by consumers on any mobile device, which opens up opportunities in emerging markets, where low cost mobile phone circulation is highest. "While demand for mobile apps is peaking, so is the fragmentation of mobile development platforms and tools,” said Michael Cote, analyst for Redmonk. “This makes it very expensive to target all devices and can lead to putting all your eggs in one, often tightly controlled basket, like Apple's, or doing a least-common denominator, mobile web app that can't benefit from full native device access. A tool that can target all platforms is hugely needed in this space, and OpenPlug should work well with the total mobile app development portfolio Alcatel-Lucent is putting together." Thanks to OpenPlug, service providers, enterprises and developers do not have to be selective about which of the many mobile platforms they will write applications for, thus limiting their potential for service adoption and revenue potential. 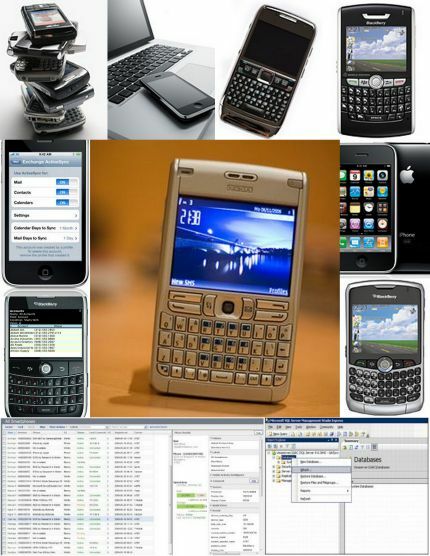 OpenPlug’s mobile software turns every device into a smart device, including iPhone®, Android®, Symbian®, Windows Mobile®, and Linux®. OpenPlug’s mobile software turns every device into a smart device. It allows developers to write applications once and convert application code into native software that runs on any leading mobile device operating system, including iPhone®, Android®, Symbian®, Windows Mobile®, and Linux®. 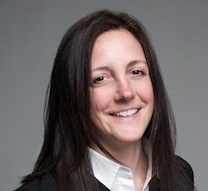 Laura Merling, vice president of Alcatel-Lucent’s global developer strategy. “Being able to provide more applications across multiple devices helps service providers significantly broaden their app store content to create more value for consumers,” said Laura Merling, vice president of Alcatel-Lucent’s global developer strategy. “Deploying valuable web and mobile services requires assembling many different pieces from many horizons,” said Eric Baissus, CEO of OpenPlug. 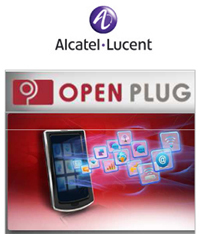 The OpenPlug toolset will be incorporated into Alcatel-Lucent’s Developer Platform and Open API Service, thus broadening the functionality available to service providers, enterprises and developers for the exposure of network assets and the rapid introduction of new services across mobile and Web domains. The move advances Alcatel-Lucent’s Application Enablement strategy, which is focused on combining the trusted and secure network capabilities of service providers with the speed and innovation of the Web to provide a richer end-user experience. OpenPlug is a software provider specialized in mobile telephony and commercializes under the ELIPS name a range of patented technologies that facilitate the development of mobile phones, smartphones and the applications that run on them. ELIPS Studio offers the first open software development environment allowing Independent software vendors (ISVs) to create and deploy simultaneously in record time their mobile applications on iPhone, Android, Symbian, Windows Mobile, Linux and other proprietary systems. ELIPS Suite is a white-label application suite that facilitates the design of mass-market mobile phones and ships in millions of Tier-1 mobile phones worldwide. OpenPlug products are used by leaders of the mobile industry such as Sony Ericsson, Intel Corporation, Arima Communications, Foxconn, as well as thousands of application developers. Founded in 2002, OpenPlug is based in Sophia Antipolis – France. Alcatel-Lucent (Euronext Paris and NYSE: ALU) is the trusted transformation partner of service providers, enterprises, strategic industries such as defense, energy, healthcare, transportation, and governments worldwide, providing solutions to deliver voice, data and video communication services to end-users. A leader in fixed, mobile and converged broadband networking, IP and optics technologies, applications and services, Alcatel-Lucent leverages the unrivalled technical and scientific expertise of Bell Labs, one of the largest innovation powerhouses in the communications industry. With operations in more than 130 countries and the most experienced global services organization in the industry, Alcatel-Lucent is a local partner with a global reach. Alcatel-Lucent achieved revenues of Euro 15.2 billion in 2009 and is incorporated in France, with executive offices located in Paris. 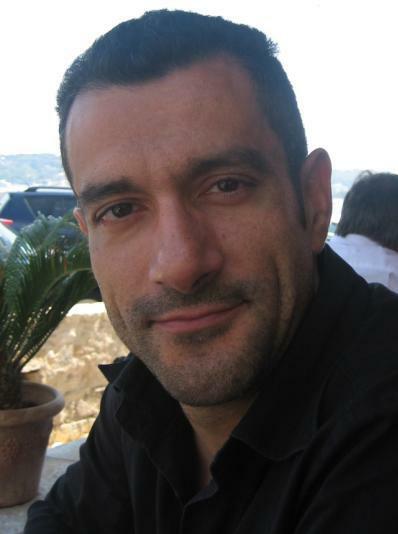 Eric Baissus is CEO and co-founder of OpenPlug. Eric has more than 15 years experience in the wireless industry and has occupied various positions especially in the domain of the development and market deployment of complete software solutions for cellular market. Prior to founding OpenPlug, Eric led the development of Texas Instruments software reference solution for TI 2G and 2.5G platforms. He is graduated from the Ecole Polytechnique (Paris – France) and the Ecole Nationale des Telecommunications (Paris – France).